Home Transportation Paris Is Banning Older Cars, Should L.A. Be Next? Paris Is Banning Older Cars, Should L.A. Be Next? 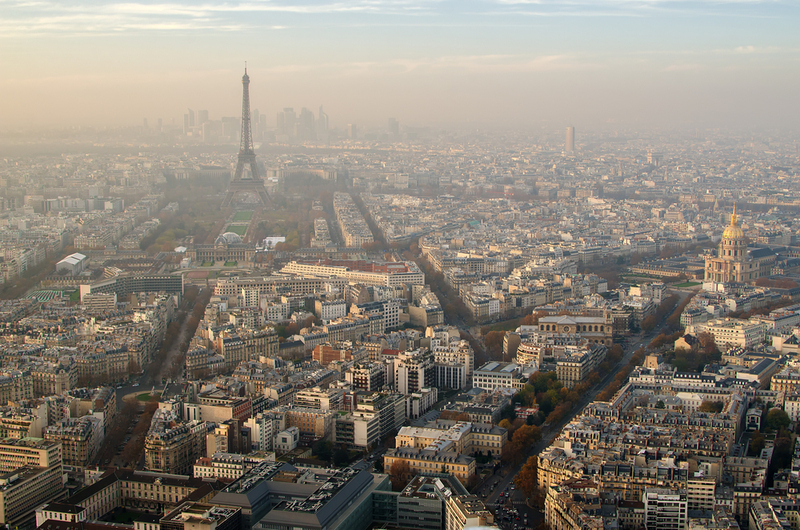 Recently, Paris has been suffering from a L.A.-like smog issue that has blanketed the City of Light in a gross haze. Mayor Anne Hidalgo is employing numerous efforts to combat the problem and her latest is the most contentious: a ban on all cars manufactured before 1997. The restriction begins July 1 and will ban older cars from Parisian streets on weekdays between 8 a.m. and 8 p.m., Slate reports. About 160,000 vehicles—produced before the most stringent emission controls were adopted—will be affected by the initiative. That’s just the tip of the iceberg in Hidalgo’s pollution-busting plan: she wants an end to diesel fuel in the city, swaths of the city to be car-free, and a weekday ban on all cars produced before 2011 to go into effect by 2020. The auto industry is screaming “elitist!” at Hidalgo, saying it punishes those who drive older, cheaper cars (and makes it more difficult for them to trade them in for newer, cleaner cars). Conversely, wealthier Parisians are the ones with cars, regardless of how old the vehicles are. While all Parisians can take advantage of the city’s extensive transit system, bike share, and car-sharing services—as well as city incentives that offer free transit and discounts on bikes for those who give up their cars—those in the suburbs are not so lucky. Those who can’t afford to live in pricey Paris, and can no longer drive in to work, will have to figure out a different commute. What about L.A.? Sure, we’ve been good about adding transit lines and bike-shares, but we remain part of the country’s most polluted region. If no politician is brave enough to suggest any of the changes Hidalgo is, couldn’t the city at least offer discounts on transit and bikes? What about encouraging employers to allow more work-from-home options? Mayor Garcetti, are you listening?